Infrastructure environments' needs and demands change every year and systems become more complex and involved. But all this growth is meaningless if we don't understand the infrastructure and what's happening in our environment. 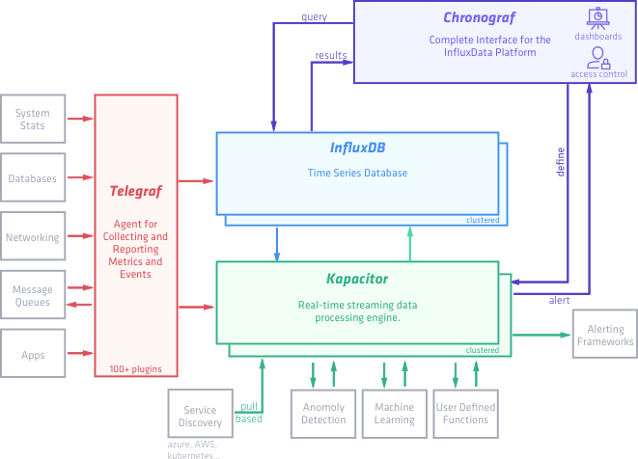 This is where monitoring tools and software come in; they give operators and administrators the ability to see problems in their environments and fix them in real time. Example of a table, or how a RDBMS like MySQL stores data. Imagine rows and rows of data, uniquely sorted by timestamps. 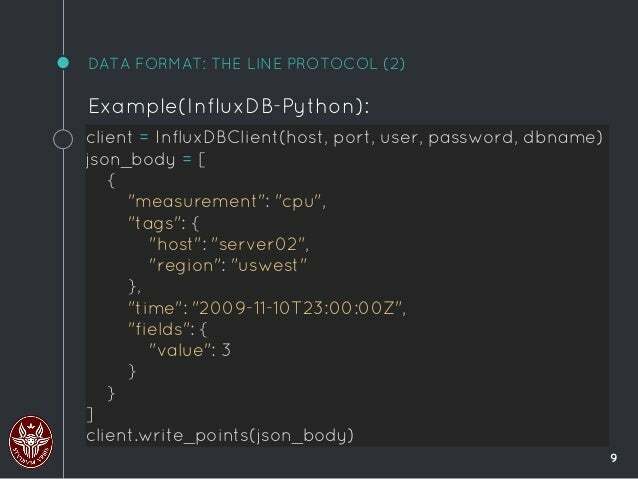 How InfluxDB stores time-series data in Line Protocol. Diagram of how the different components of the TICK stack connect with each other.